1. 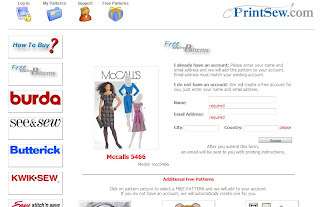 Download and print the McCalls free pattern here. Sign up for a new account and they will email a link to direct you to where you can print it out. If you are having problems printing from their site go here to install an Adobe Acrobat plugin update. And then restart your computer and try to open the print screen again. 2. Download the burdastyle blouse here. The burdastyle pattern is $4. 3. Print sheets. AT 100%, NO PAGE SCALING! Size charts here. 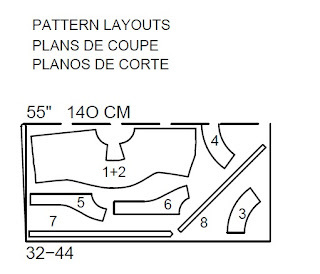 For the McCalls Dress Pattern, only print pages 34-36; 39-41; 44-46; 49-51; and 54-56 so as not to waste paper. 4. Cut the left and bottom extra white space of all the pages. (see left image). To make this go faster, stack one row together and cut all at once. If you have a paper cutter it can go even faster. 5. Tape sheets together and cut out. 7. Take your two skirt pieces from the MaCalls pattern and lay on your fabric. Lay piece 11 on the fold and piece 14 above piece 11. DONE for today! Gee, that was easy:) If you have any questions just leave me a comment and I will try to answer them. Yay, I'm already done. OK, I cheated and did it yesterday. 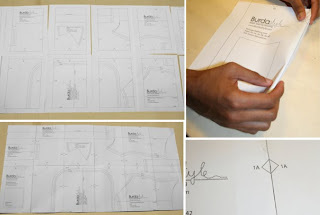 A note: the skirt has pockets, and you'll also need to print out p. 7,12, and 17 of the first group of pieces, and then p.2 and 7 of the second group of pieces to get the pocket and pocket facing. Elle: What's on page 7, 12, and 17? Also, I've never cut out my nice fabric without first making a muslin first. Any tips to take the plunge without ruining my nice silk? Is there another place where I can get the McCalls pattern? I have installed the plugin and I am able to open the pattern and print it. But my computer has trouble printing adobe files, the tops of the pages are always missing. This website forbids saving the file and opening it with a different program, so I can't print it that way. I can't open it on a different computer either, the website only allows you to use one computer to open your files on. 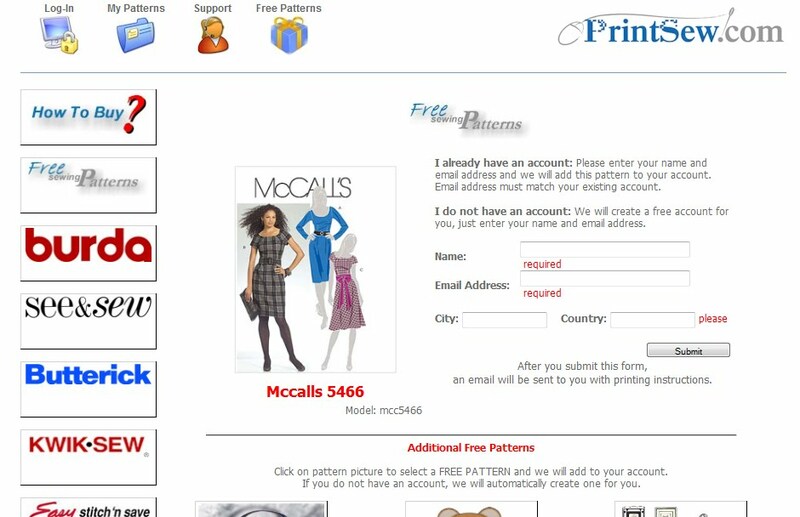 I too have been having problems with printing the McCall's pattern (totally a computer problem, not website problem). 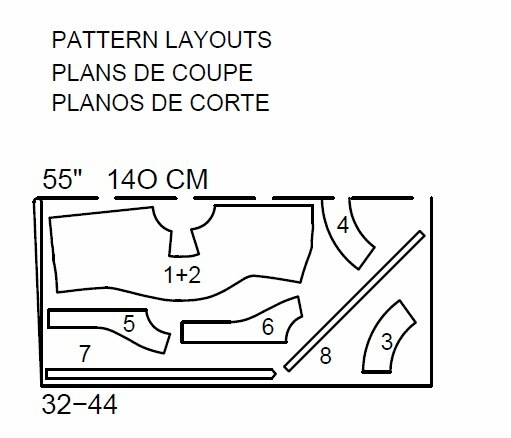 I have made several pencil-style skirts with a pattern I made myself, and I am wondering if you think it could work for me to just use my personal pattern. Liz, I'm not, but thank you so much for the offer! That's really sweet. I have an HP printer, and it always cuts the bottom off every page. It's a known issue with some HP inkjets, and there's no fix. I've managed to fudge it with Printsew patterns in the past, but it's kind of a bummer. 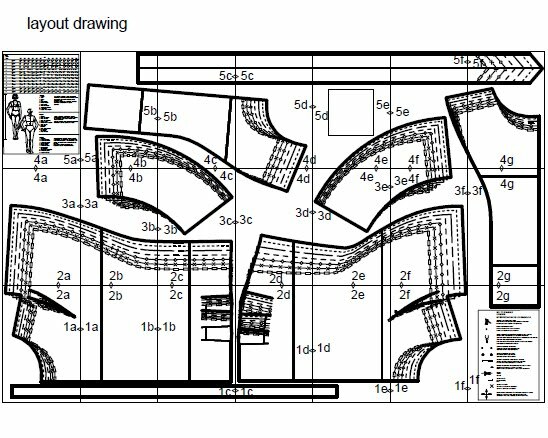 I've been thinking I might be able to tweak the printer settings and print on legal paper and maybe get the whole page. I'd be curious to know if anyone has found a work around for the offending HP inkjet models. Send me your email address and I will try to help. For those who have the HP printer & the cutting off the end. I always select "Legal" size paper and that usually does the trick. It will print that little extra out. Thanks for the very detailed steps so far! 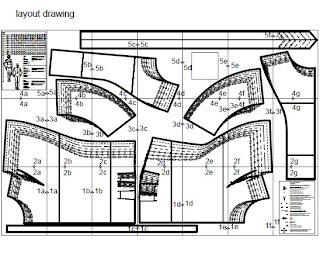 I appreciate having my hand held since this is the first time I'm making a pattern from a downloaded pdf. YAY! I'm a month late, but I found a fabric that has inspired me to finally print this out and make it. Took a good hour to figure out the printing, but it's working now and I'm excited to get started. I'm also going to attempt to draft the top part. Wish me luck!